Here at dealchecker HQ we are often asked about the top destinations for family breaks. We’ve got our favourites but we thought that the best way to answer this question was to investigate where our users were searching for the best holiday deals. We recognise that modern day family units vary in size but, for this list, we took the nuclear family definition. So we looked at all holiday searches for two adults and two children on our site in January 2015 and came up with this list. Read on to find out our top 10 family holiday destinations. 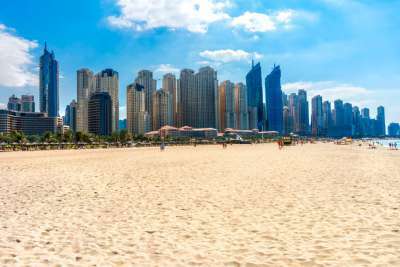 It surprised us that Dubai came out as the most searched-for family destination, but over the last couple of years this city has really grown in popularity. Massive resort hotels with a plethora of activities on offer and year round sun makes Dubai extremely popular with families. Great shopping, water parks, aquariums, sandy beaches and even an indoor ski slope; Dubai has it all. One word of caution is that in the peak summer months the temperatures do get very hot – it may not be suitable for younger kids. 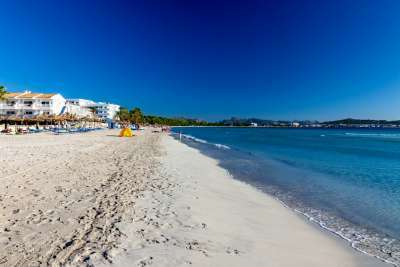 A family favourite for many years, Majorca is the largest of the Balearic Islands and has a good number of family-friendly resorts from lively towns in the south to the quieter destinations in the north of the island. Flight times to Majorca are relatively short and there is a flight from almost every UK regional airport. Combine this with short transfers from Palma airport and a large amount of apartment-type accommodation available around the island and you can see why so many families visit every summer. 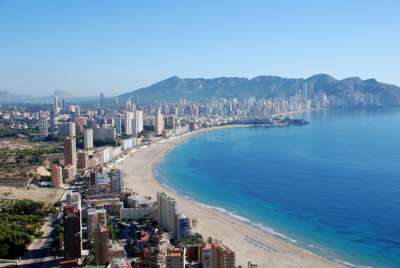 Another British favourite, Benidorm has been providing family holidays for many years. This resort offers great value all year round and knows how to look after Brits abroad. Look for hotels with family type suites or apartments and we’d recommend choosing accommodation closer to the beach. One family attraction not to miss is the Terra Mitica theme park which is located just outside Benidorm. 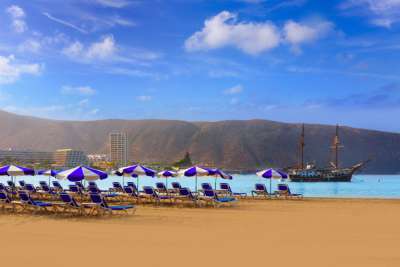 The most popular Canary Island on our list, we see families searching for holidays in popular areas such as Los Cristianos, close to the lively town of Playa de las Americas, and Costa Adeje with its large, resort type hotels. Tenerife is a year-round holiday island and is especially popular for winter sun family breaks. Flight times from the UK are slightly longer so check your flight times when booking your holiday. Paying that bit extra for a daytime flight may be worth it especially if travelling with smaller children. It is no surprise to see this destination on the list as Orlando’s theme parks are constantly evolving to create memorable family holidays year on year. Whether you want to meet a fairy-tale princess or you are a roller coaster junkie, the attractions within the Orlando area can easily keep your family busy for a couple of weeks. Orlando is also constantly featuring in our weekly real deals newsletter so there are always special offers to be found. 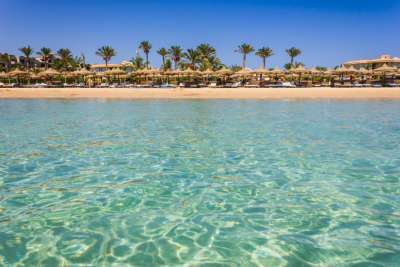 With year-round sun and plenty of large hotels offering great value all inclusive breaks, Sharm el Sheikh is Egypt’s largest beach resort and a growing favourite with UK holidaymakers. Whether you want to relax on a sun lounger, splash in the pool or go diving in the Red Sea, Sharm can cater for all family tastes on an affordable budget. The second Canary island on our list and, again, families are drawn to year-round sunshine and the many all inclusive holidays on offer. There is a good base of family type accommodation available especially in resorts such as Costa Teguise and Playa Blanca. It’s great to see a city in our top 10 list and what a choice! The city that never sleeps is equally a great family city break destination. 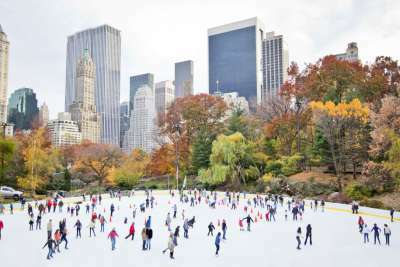 Climb the Empire State Building and the Statue of Liberty, explore the many museums on offer, discover Central Park or take the kids shopping in the ultimate toy store – FAO Schwartz. New York has direct flights from most UK regional airports making it surprisingly more accessible than some nearer European cities. 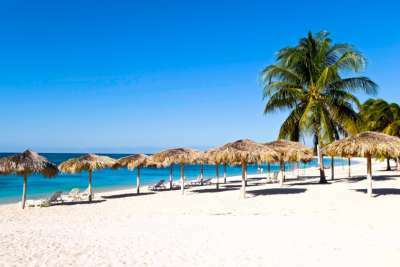 If you are looking for an affordable Caribbean family holiday then the beach resorts of Cuba have a lot to offer. All inclusive board is a good choice for family holidays as you can budget accordingly and almost all hotels in Cuba operate on this basis. Thomas Cook operates charter flights to a variety of Cuban destinations. They are popular with our users, especially the flights from Manchester. 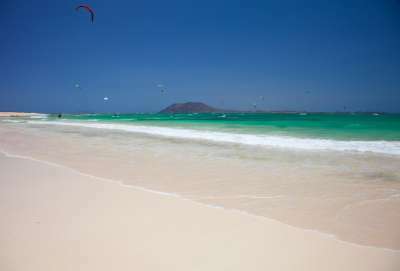 Our last Canary Island on the list, Fuerteventura is perfect for those families looking for a beach! The island’s vast white sandy beaches are a magnet for watersports lovers especially with year-round warm weather. The Atlantic sea breeze can help cool things down slightly. Take a family trip to explore the sand dunes in Corralejo or visit the nearby Baku water park. All inclusive holidays are again popular, so alternatively, just relax by the pool and take advantage of the food, drink, activities and entertainment on offer within your hotel.